We provide you with new generation juice extraction machines. Thanks to the efficiency of the mechanical filter, the recovered juice can be poured directly onto ice in the glass. 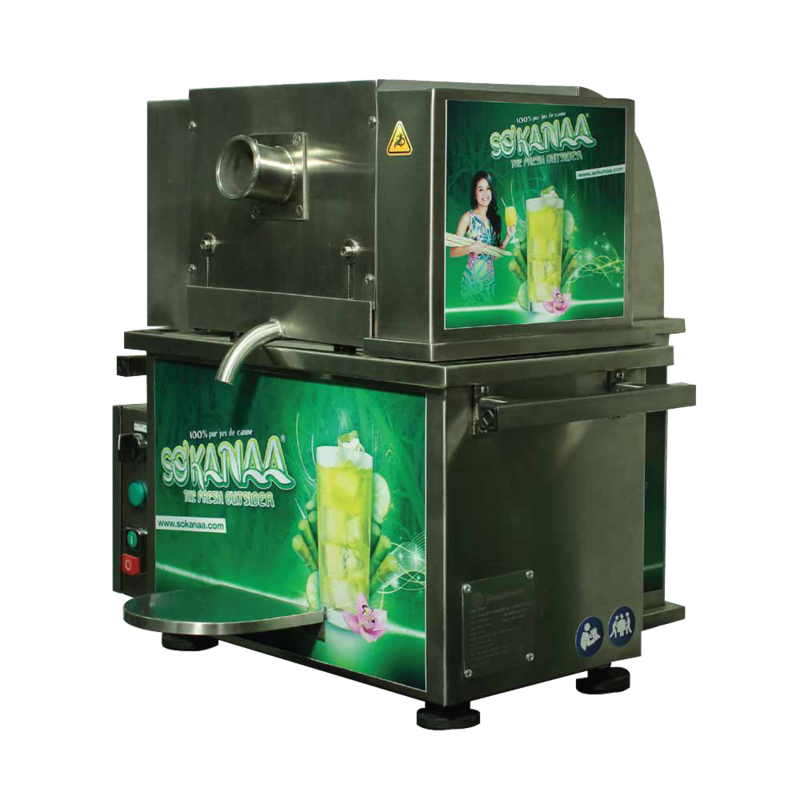 Since 2013, SO’KANAA® provides you with new generation juice extraction machines. Thanks to the efficiency of the mechanical filter, the recovered juice can be poured directly onto ice in the glass. The journey from the entrance of the cane in the device to the glass is completely waterproof and hygienic. Aesthetic and space-saving, the machines fit into any decor. A simple outlet is enough to make them work. Our cane extraction machines comply with the “CE” standards and deliver a 100% natural drink that is freshly squeezed in front of the consumer. It is the only one to date (January 2018) to be watered for its washing, to be able to be used during the rain without being electrocuted, and to respect all the standards on hygiene for the food safety of the consumer. With its very low decibel emission, it can perfectly integrate in the restaurants for the total respect of the customers. With 60 liters of juice per hour, it has nothing to envy of its unregulated competitors of the labor regulations in Europe. All its spare parts are stored in Ile de France and it is guaranteed a year with confidence. Since 2016 SO’KANAA® also offers the first bottle of sugar cane juice 100% natural without any chemical additives (330, 250, thickener, preservative, dye …). Its juice without any treatment and zero pesticide. It perfectly meets the new preferences of consumers, more and more followers of clean products.